Genuinely liked this more than I’d thought I would. Lot of action, great visuals and Dwayne was on point leading this film, come a long way since Scorpion King. The film had endless clichés but it didn’t enrage me as much as it normally does, my reasoning will be explained later. It has been a while since I’ve seen a good disaster film and this was good. I’ll go into more detail below but give it a try, got trailers and images below. Check it all out and give me a like and a comment at the end. “That’s not the first time I landed on second base.” – HAHAHAHAHAHA! 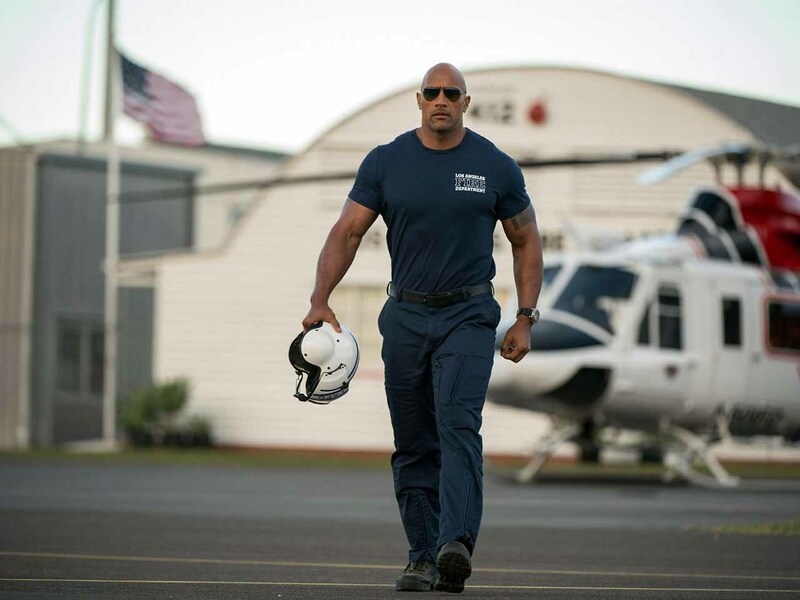 In the aftermath of a massive earthquake in California, a rescue-chopper pilot makes a dangerous journey across the state in order to rescue his daughter. There are types of films where clichés will always be there because at some point they have been done to death and so after 1000 variations it’s tricky to be original. This film has all the disaster film clichés: Scientist who can predict the disaster, the hero with broken family, divorced wife with dickhead new rich boyfriend, daughter who’s stuck between the two parents, and of course the family gets together at the end. I normally hate this crap but to their credit it wasn’t done in a lazy way. Normally when you get clichés the creators don’t care so it’s done with so little effort that it is just terrible to watch. This was good though they genuinely tired. The characters where pretty good, like most of them which is better than most disaster films or horror films. Dwayne led with charisma and sheer presence. The wife was meh. The scientist was good but he’s always a good one. The English guy was so English! As soon as I heard his accent I feared the stereotypes but it wasn’t too bad. He even had a cool MacGyver esc scene saving the girl. 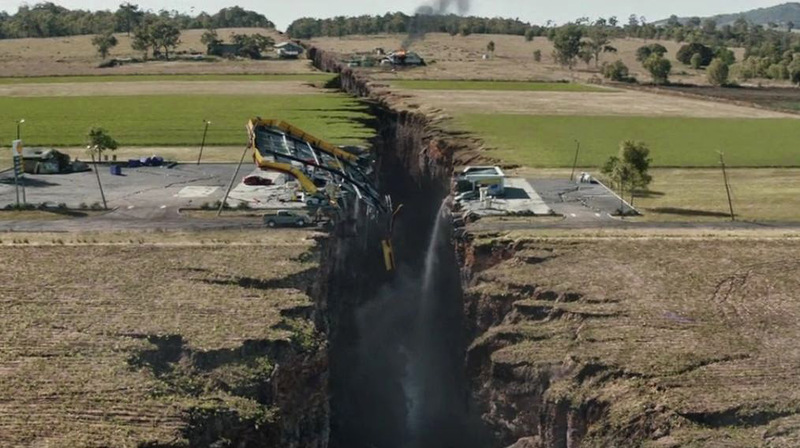 Speaking of which lets discuss Alexandra Daddario and her amazing “talents”, they really showed there worth in an earthquake that really shuck them about in all directions. Tube Top. The action in this film was really. The visual effects also very good. Not perfect though as I saw some flaws, very brief though. What I really appreciate though the fact that there were plenty of scenes that I did not see coming. Thanks in most parts to the trailers as they did not spoil every significant moment, I’ll tell one specific scene that they could have spoiled because it was my favourite scene, and it sure as hell wouldn’t be my favourite if I’d already seen it in a trailer. My Favourite scene would have to be when they are racing to cross over the huge tidal wave crest and out of nowhere and to my complete surprise you get a giant shipping container barrel over the top propeller first. If that was in the trailer it is undeniable that it would ruin the scene. Shock is the entire point. 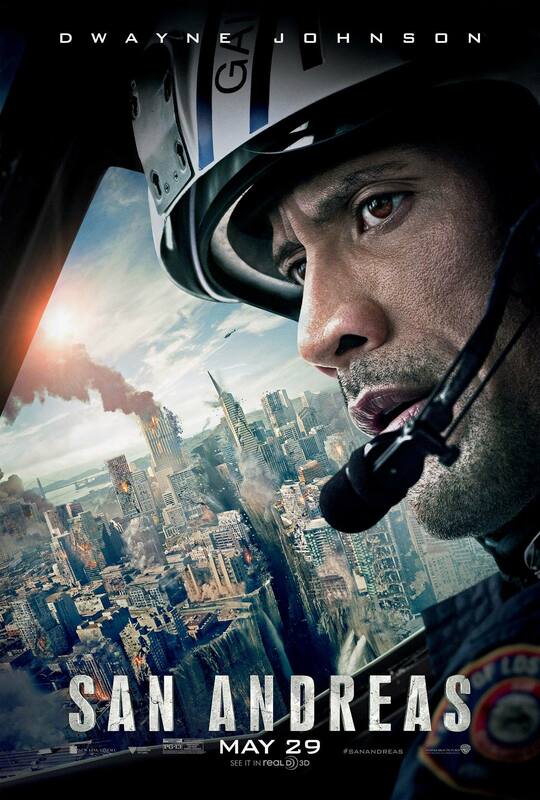 Tags: Action, Alexandra Daddario, Archie Panjabi, Brad Peyton, Carla Gugino, Colton Haynes, disaster film, Dwayne Johnson, Ioan Gruffudd, Kylie Minogue, natural disaster, Paul Giamatti, Poster, Review, San Andreas, San Andreas (2015) Review, san andreas fault line, Trailer, Warner Bros.
You liked this way more than I could Tim, I did have some fun with a lot of the key set pieces but this was done a disservice by what they did with Paul Giamatti and it’s lack of science. 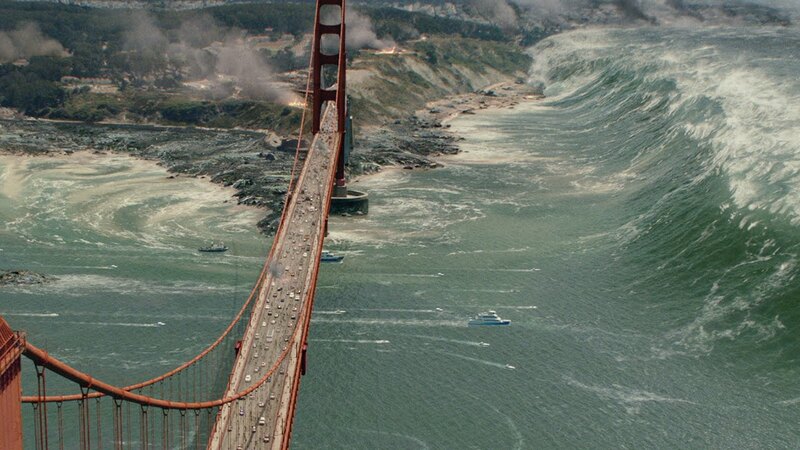 Couldn’t buy it, even for a disaster film. The Rock was good though, as he usually is. Really like that guy. Good review Tim. It’s very silly, but also pretty fun. Its a proper summer film! Guilty pleasure for me. A script as cheesy as all hell doesn’t spoil it! Cool review man, all your poins right on the money! Yeah, it’s hard not to be taken in by this one! Dumb but fun. Glad you liked it. Any favourite scene?